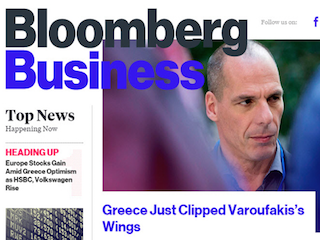 Bloomberg has launched its first regional digital property — Bloomberg Business Europe. The site, a year in the making, will feature localized content and be overseen by senior editor Nate Lanxon. Lanxon joined Bloomberg in January. He most recently worked for Wired UK. Bloomberg Business Europe was developed by Adam Freeman, managing director of Bloomberg Media for Europe, the Middle East and Africa.